When Heidegger commented on van Gogh’s painting ‘The Shoes’ (aka ‘Boots with Laces’) fifty years, from 1886 to 1936, had passed, and what fifty years, in Europe! Van Gogh himself had expected the nineteenth century to go out with a bang. The First World War, the collapse of the German Empire, and the vanishing of traditional peasant life close to the soil all helped persuade Heidegger that the humanist art integral to bourgeois identity had also expired. What I suggest in my most recent book, A Shoe Story Van Gogh The Philosophers and the West, is that Heidegger was a posthumanist philosopher who set the work of Van Gogh in a new context. The outcome saddens me, but I don’t think the truth of it can be denied. There is a chiasmus that links Heidegger and Marx. Chiasmus is the technical term for a rhetorical figure in which relationships are first stated as the four points on a an X, and then crossed over. Where Marx and Marxism defended the integrity of the industrial worker against exploitation, Heidegger reacted to erosion of the peasantry and village life. Transpose those positions into the desire for a new kind of art and you get, by crossover, the ironic outcome that Heidegger was more revolutionary. The socialist realism associated with Soviet and other Marxisms (of Ernst Fischer, for instance, and Trotsky) was a classical humanist doctrine, only new in the demand it made to make art universally accessible. Heidegger by contrast was a post-humanist whose closest allies in pursuing a new aesthetic were, and this another irony and another crossover, German pioneers of a social democratic and Communist persuasion, as they reacted to what one of them called the rise of ‘mass ornament’. In A Shoe Story, which might otherwise be known as ‘What happened to art with 1930s German theory?’ I talk about installation and performance art, and some present-day reflections of Siegfried Krakauer’s ‘Ornament der Massen’. My story plays and replays tensions between such impulses as charity for the downtrodden and authenticity for all, rural and urban life, working-class and middle-class ways of life. It follows van Gogh from a life-changing return to art while tending to the stricken coalminers of the Borinage to his later years catering for the tastes and pleasures of leisured, urban Parisians. Fifty years later it follows Heidegger the village boy who becomes a middle-class academic while despising the educated class in whose midst his genius had placed him. As both van Gogh and Heidegger lost their Christian faith in God they sought to replace it with moral and aesthetic values for a material world. Communists used to have the feeling van Gogh was travelling in the wrong direction. What were these new values? A Shoe Story turns on a shift from the work of art as the refined product of inspired individual making (such as van Gogh’s) to the artwork as a happening. Heidegger played on ‘Werk’, a work, and the related verb ‘wirken’, to ‘take effect’, to make his point. For Heidegger in The Origin of the Work of Art the work makes itself anew each time it ‘goes to work’ . In fact his idea meant he could perfectly well accommodate van Gogh’s Shoes. Here was a painting that brought alive the peasant world in which he Heidegger just about still lived in. Heidegger believed the role of the artist was to place the work in an effective context so that it could spring alive. By spring alive, or, as he said, create a clearing for being, he meant I think present us with an intense and sublime sense of the materiality of our existence, skin against rain, leaf against stone. Closely related to the philosophical vision of Being and Time (1927) his art thoughts pre-war were ontological, about the work of art’s co-being with our own, and they still toyed with the idea of true or authentic experience. Anticipating developments much later in the century, and mostly in a leftwing political camp, Heidegger declined an interest in the artist’s personality and his formal practice and favoured the experience of the common man of a certain reality. I’ve written elsewhere of the extraordinary mainly German 1930s, when in Continental thinking the definition of art was up for grabs. Walter Benjamin, Walter Gropius, Berthold Brecht and Siegfried Krakauer were all key players in moving art on from the understanding of classical aesthetics and taking new notice of mass audiences. What I’ve done in A Shoe Story is place Heidegger also in this context. Many, many otherwise serious people find even mention of him, because of his Nazi flirtations, unwelcome. But, frankly, that’s no reason for leaving him out of the history of ideas, as if because he was not a nice man he never had any insight or influence. It’s by some process of direct and indirect influence for instance that I imagine Heidegger’s influence on conceptual art of the last forty years. As Heidegger’s idea of the work of art as a happening took effect the ontological, being-in-truth, element fell away. The work of art as it springs alive may make us aware of the truth of our being-here; but it may also or only remind us, startlingly or ironically or sentimentally or puzzlingly of many lesser truths about society. I see in conceptual art a kind of doubling-back to the social content of varieties of Marxist criticism, concerned with problems of living in a capitalist society, and social marginalization, and commercial exploitation, but holding fast to posthumanist forms of expression. There again is the chiasmus, as left and right cross over to encourage a new form of art. Peasant v proletarian (two kinds of masses), Heidegger v Marx, humanism v posthumanism, collective v individual, public v inward are the tensions I explore in this legacy. I would define art as the privileged expression of existence. The definition needs qualifications and explanations. Privilege may at certain times in history have related to the socio-economic origins of the maker of art, but in this definition it applies to the special standpoint which the artist strives to find in order to make the work possible. To privilege something is to put one idea before another. The artist has the capacity to make those choices. The artist creates the lens or the hearing aid, or the touchstone to pass on the chosen experience. Privilege also includes the obligations that many people feel follow from the possession or gift of talent, insight, understanding or religious vision. So I’m taking a term usually associated with social privilege here and reinvesting it in the metaphysics of morals. I don’t exclude the narrower socio-political sense of the term, but I want to take in pre-Marxist times and a larger picture which above all remembers that art is as much its form as its content. For art to be made takes both the will to express something perceived and the means to do it. Expression is literally a getting out, a bringing of something from inside to the outside. It is a gathering, a concentration, a framing, an ordering, and its devices include rhythm and form and shape. Existence is how the world feels to me. It passes through my human consciousness. Objects and moments of experience which are felt by human beings as art may come about by non-conscious means, and/or without human agency. A shape in the rock, a sunset, patterns in a stormy sea. But we wouldn’t think of these as art if we didn’t begin from an idea of conscious creation. The artist represents, imitates, comments upon, decorates, reinforces and denies what is experienced through consciousness. When once, fundamental to classical aesthetics, it was imagined God made the world in a series of creative acts of which no human was capable, this imagining was based on what a human artist could create: the very fact that they could create a work, thanks to consciousness registering existence in the world. Let me now use this definition to talk further about the Shoe Story. That sense of artistic capacity as a metaphysical privilege that became so prominent in the Western tradition with the Romantics infused van Gogh. He believed he had the gift to understand nature’s own language and translate it into painting. In his early life and career he owed the gift to God. Later, when he lost his faith, his talent was a gift of fortune, which he put at the service of art to serve the cause of mankind. Van Gogh was a humanist who expressed what delighted his eye, and also, indirectly in the Shoes painting, and in the still earlier ‘Potato-Eaters’, what caused him concern. Existence for him was human-centred. It was about joy and suffering, and coexistence in a material world of natural and manmade objects. When the American mid 20th century art critic Meyer Schapiro wrote about Van Gogh, the key to everything that might be said about the privilege that made van Gogh an artist, his capacity for expression and his sense of existence, was subsumed in an idea of his supreme individuality. Here was a man of genius (his metaphysical privilege and ours to be in his company, through his works). Van Gogh’s genius could be seen in the way the works were composed, and what they could be made to express. But Heidegger wanted to depart from this even now still common and traditional approach to art and the artist by placing a particular stress on the third of my defining terms, existence, at the expense of the other two. Like van Gogh and in some ways like Schapiro Heidegger was still a Romantic, in that he expected of art metaphysical disclosure. But his particular thrust was to steer aesthetics away from a concern with how the work was made (and thus how the artist’s privileged and expressive skills were deployed) towards that moment when the work of art happens in the presence of its viewer, or listener, or reader. For Heidegger it was our human existence, our ‘thrownness into being’, that was wonderful, not our individuality as determined by education and culture. For Heidegger the erstwhile theologian the work of art had as its function ‘the clearing of being’ – a phrase that one might read almost literally as a sweeping away of all the layers of obfuscation that set in over time and spoilt experiences that ought to be primordial. So art allows us once again to see, really to see, a tree, a temple, a shoe, and how those objects accompany us, how we have our common being with them, while we are alive and here. 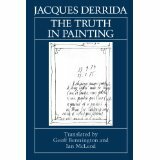 The mutual recriminations rumbled on, and Derrida’s very playful way of setting them out for our information and entertainment became the large part of his book The Truth in Painting (1978). That book however was not really about art history, nor philosophy. In character with all Derrida’s more artistically conceived works it was a showcase for himself as a maker of art. 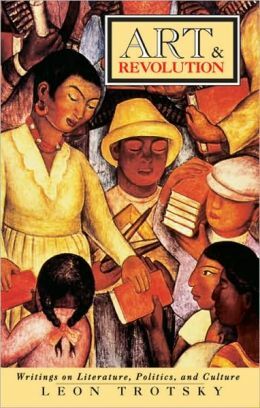 As a literary artist he was determined his book should be about nothing that could be taken away from the text. Whatever was true about what Derrida expressed had only the privilege of the moment it was uttered in which fully to exist. Its meaning was destined never to arrive. Our existence in and alongside language, he showed us, was deeply imperfect. Derrida defined the entire gesture of ‘writing’ as unstable. His role in The Shoe Story however was rather to remind us of what Heidegger said, and how fruitless was Meyer Schapiro’s attack on a new aesthetic he didn’t understand. Towards the end of A Shoe Story I tried to sketch what happened next, after the great debate of 1968/1977/1978 passed itself into history. Heidegger’s art as existential event was overshadowed by the urban political ‘happenings’ of Situationism in the 1960s, which owed so much to another of the 1930s German geniuses of art theory, Berthold Brecht. But when works of conceptual art began to make art happen with assemblages of bricks, and old household objects, and shoes, and stones, when artists found objects in a natural or a commercial context and re-installed them, it was Heidegger’s thinking their practice suggested. In that period some theorists used to label ‘late capitalism’ art has asked many questions about the objects we live alongside. It has also celebrated existence by re-placing the work of art in the nature that first inspired it. The idea of placing works outdoors, in the community, in the street, where, allegedly unlike in the passive context of the gallery, they can happen to anyone and everyone, has spread so widely, and been so readily taken up by politicians and municipal authorities, that it now underpins what is meant by public art. In Britain, where I live, works such as Anthony Gormley’s Angel of the North and Anish Kapoor’s Orbital Tower owe an obvious debt to the Russian Revolutionary decade 1915-1925. 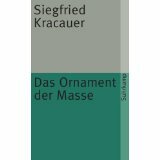 But also, along with their audience, they connect with Krakauer’s definition of ‘mass ornament’, a feature of the German scene ten years later. Meanwhile, belatedly in 2014, nothing could better exemplify Krakauer’s idea, in which the audience itself becomes part of the mass happening, than the river of The Poppies installed at The Tower of London. The object of Krakauer’s critical enthusiasm, was ‘the taste of the masses, whose aesthetic pleasure in ornamental mass movements is legitimized by the fact that these movements contain a greater measure of reality than does fine art,’ wrote critic Karsten Witte forty years ago. (‘Introduction to Siegfried Krakauer’s “The Mass Ornament”’, New German Critique, No 5, Spring 1975 p.64) The public art I’ve just mentioned suggested that the move away from the aesthetics of high art towards art as a mass event in the present moment is now wholely accepted, and not seen as having any dangerous links with totalitarianism at all. Heidegger’s stress on the work of art happening, and his lack of interest in the how and why of the artist’s own expressiveness has fed into this idea of placing the work where it can really ‘go to work’ on a non-gallery audience. Perhaps the crossover with mass commercial forms from 1950s America, which Krakauer analysed, and with early Soviet forms of mass art, should for once remind us of Heidegger’s susceptibility to Nazism. There is an element of the Western past here, once suspect, that has been turned inside out to sanction a new and benign form of mass art. In a pattern of influence more easily mapped, Heidegger’s pre-war art theory has also encouraged a new ruralism in some artists, even ‘land art’, still perhaps potentially vaguely existential-mystical for the viewer. This is art that taps into the great fear Heidegger had of technology and which has left him, although not always acknowledged, as a lasting inspiration for writers and artists with an ecological awareness and a bias for ‘wild places’. Interlaced in this entire and complex transmission of a new no-longer-individualist, no-longer-private, no longer Romantically inward, idea of art, has been the politics of mass entertainment and manipulation from both extremes of the left-right spectrum. One has to return to Walter Benjamin, yet another genius of that fourth decade of the twentieth century when art was so evidently up for grabs, to be reminded of the dangers of seeking and finding a mass audience. 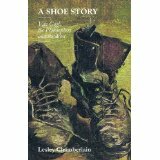 The Shoe Story was never one story, and the stories it contains also rumble on. This entry was posted in A Shoe Story, Art History, Britain Today, Philosophy and Philosophers, Things German and tagged Art and Design, defining beauty, Derrida, Heidegger, philosophy, things german, Vincent van Gogh. Bookmark the permalink.